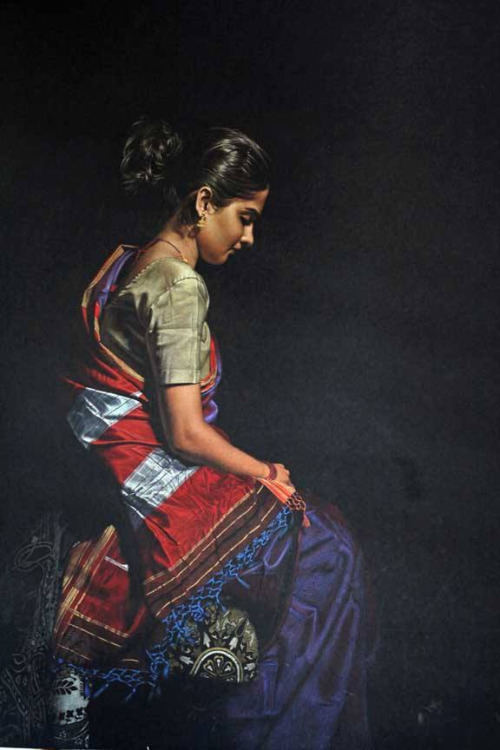 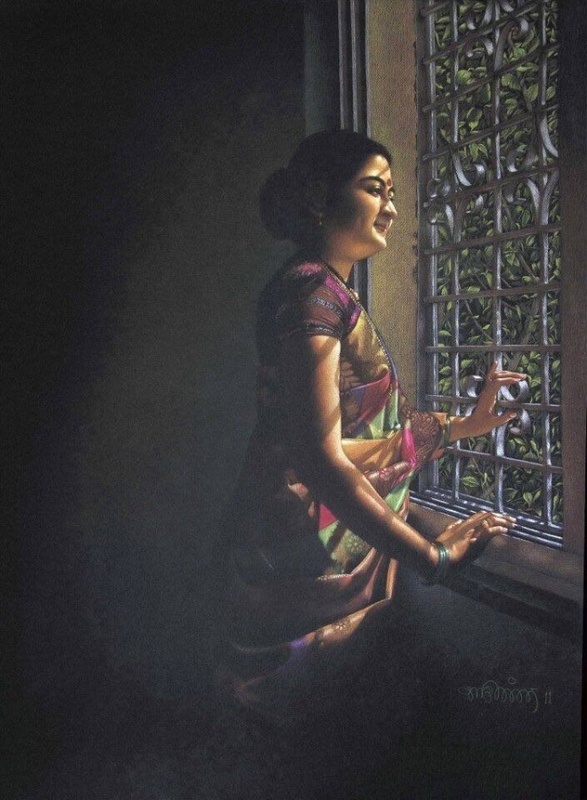 Paintings by Shri Shashikant Dhotre: Shri Shashikant Dhotre is a mumbai based artist who currently lives and works there. 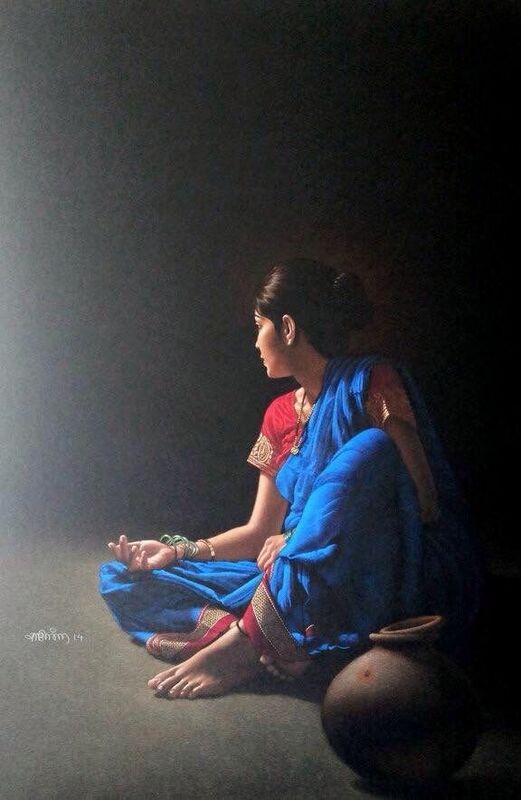 He dropped out from JJ School of Art in 2003, completed his classical 2D animation in 2005 at Pune and also completed a degree in Film & TV Direction in 2006. 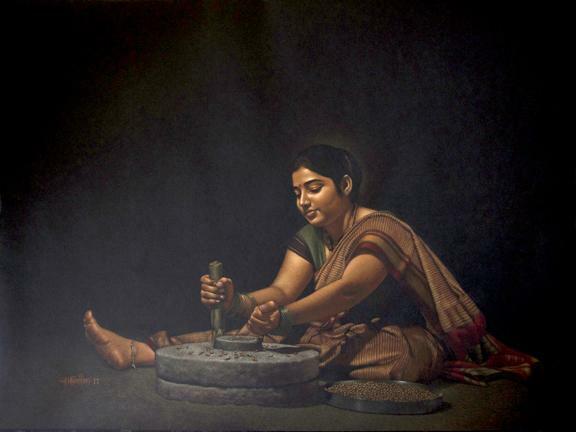 He has received several awards like Bombay Art Society, India art festival award in 2011 and many more. 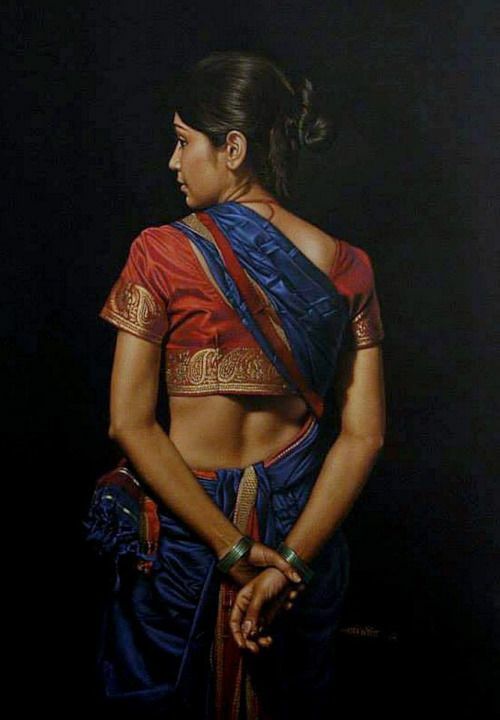 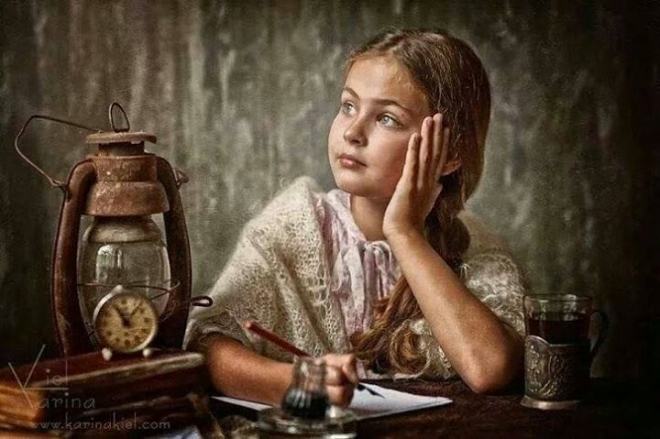 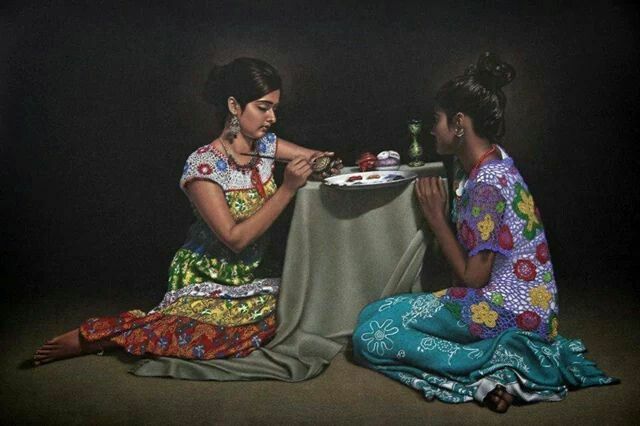 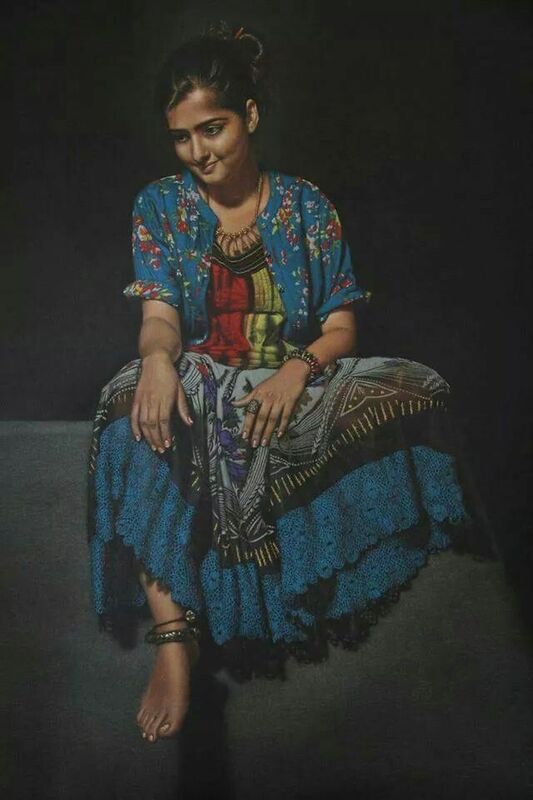 In all his paintings he uses a dark background and his subjects are clothed in vibrant colours. 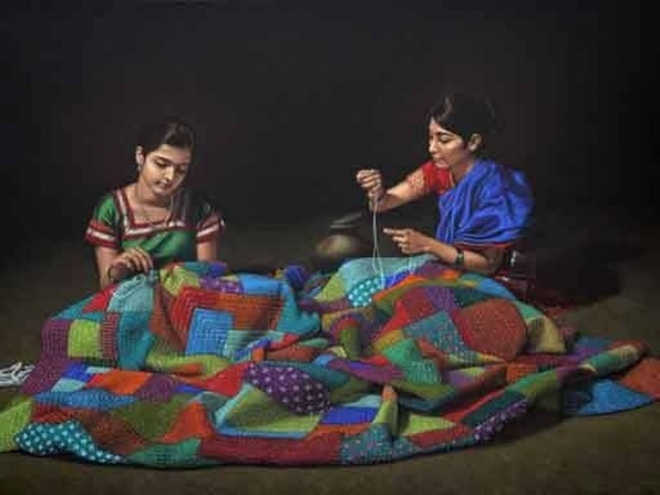 His artworks have that uncommon nature of looking alive and give the impression of being very nearly three-dimensional. 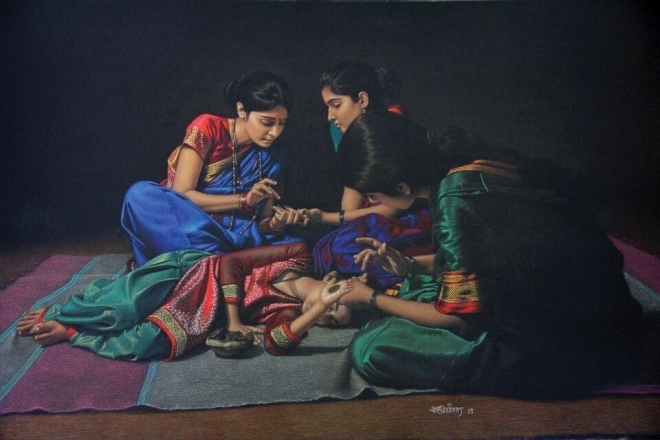 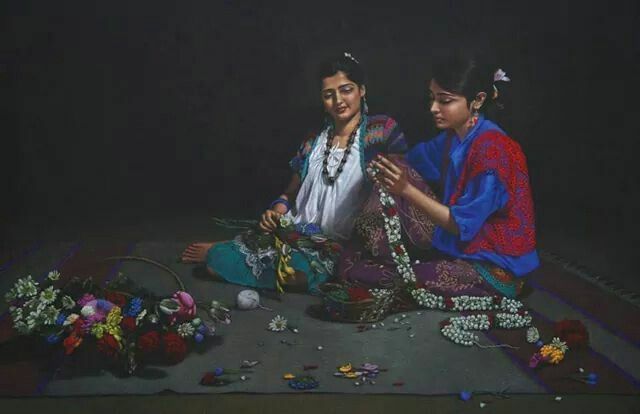 His work is very detailed, catches the beautiful expressions of the young ladies and he draws inspiration from rural Maharashtra. 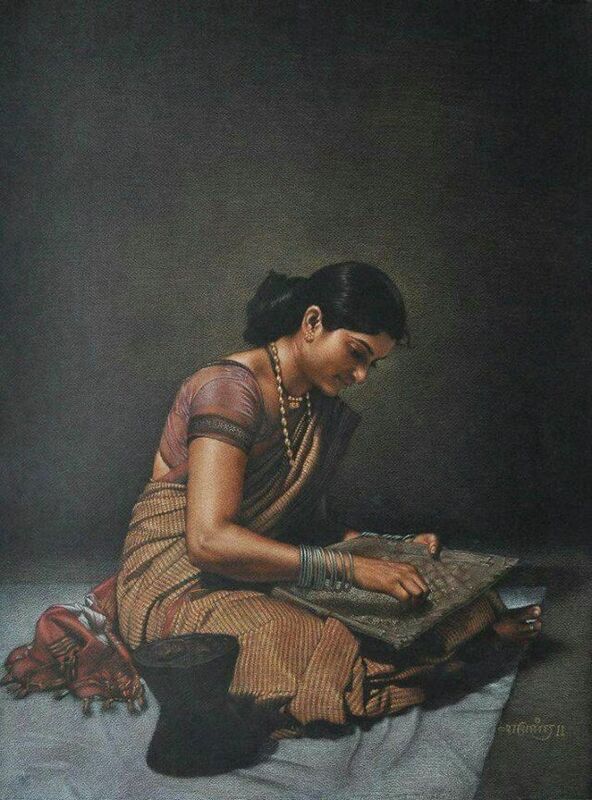 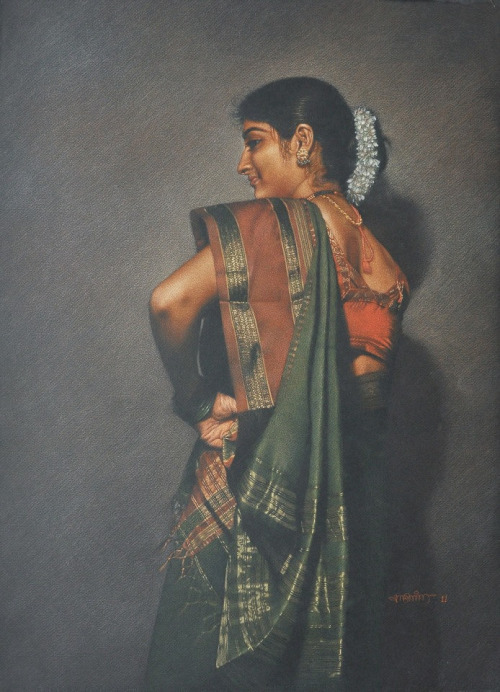 Inspired by Rembrandt and Raja Ravi Verma, Sri Shashikant Dhotre's works are reminiscent of the great masters, though the medium used is totally different. 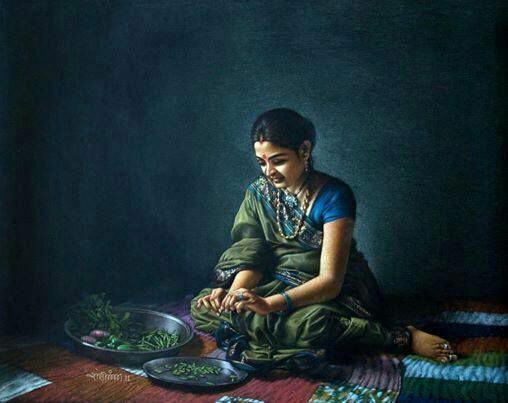 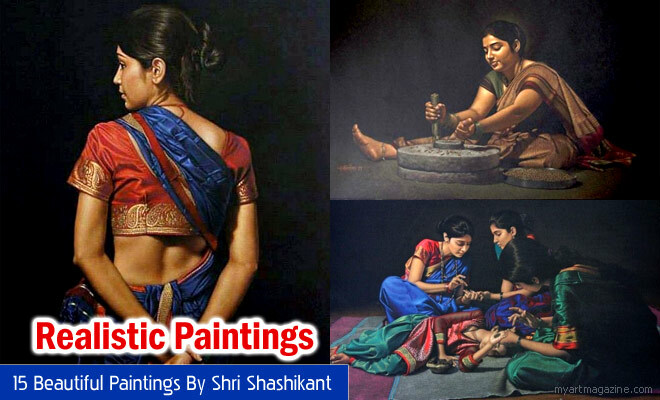 In this post we have added 15 Beautiful Paintings by Shri Shashikant Dhotre.